Premier League done deal. Watford have signed Daryl Janmaat from Newcastle United on a long term deal, according to SkySports. 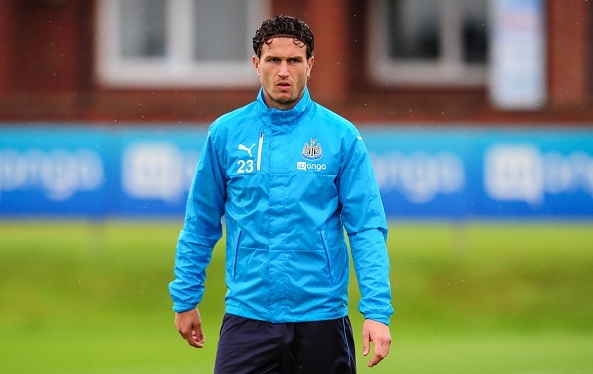 Watford have signed Daryl Janmaat from Newcastle United on a long term deal, according to SkySports. Premier League side Watford have completed the signing of defender Daryl Janmaat from Championship outfit Newcastle United on a four year deal. Whats New In the Done Deals Section? SEE HERE! The reports have revealed that the fee that Watford pay is around £7million. The 27-year-old had a medical earlier today and the deal was announced just after penning a four year contract. The Mapgies signed him for £5million from Dutch side Feyenoord two years ago, he made more than 75 appearances for the club in all campaigns during his two years of spell. The Dutchman was signed by the Newcastle based club after his impressive performances in the 2014 World Cup for his country Netherlands. Newcastle boss Rafael Benitez already knew that he is a good player and will leave the club for a better future. Janmaat started his career at Heerenveen and then joined Feyenoord where he played for two seasons. Watford will be playing Arsenal in the third game week of the Premier League. Both the sides have started their season so poor, they are both looking for their first victories of the season.